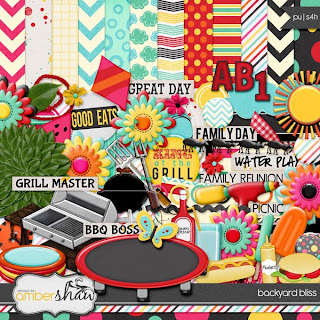 So Amber Shaw had a Colour poll on her blog and Backyard Bliss is the kit she made with the winning colours!! 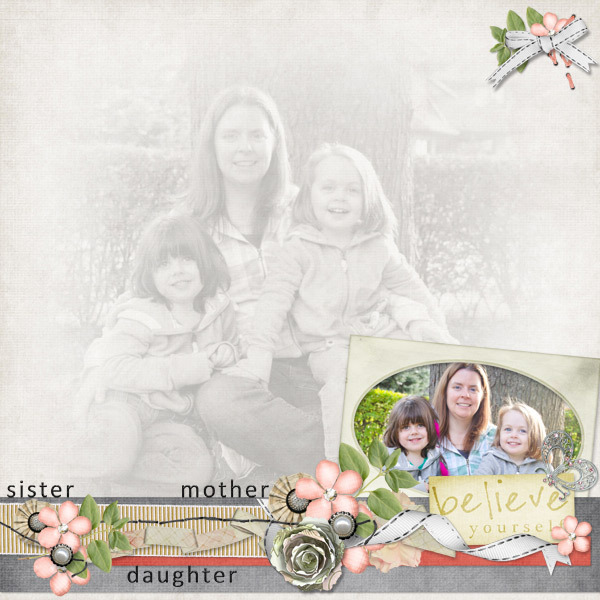 Be sure to check out her blog for the next one! Here's the winning colour swatch. 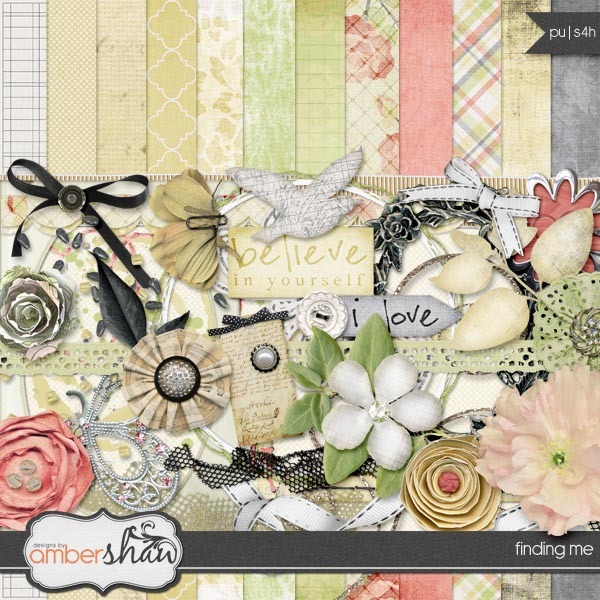 Finding Me is a lovely new kit by Amber Shaw. 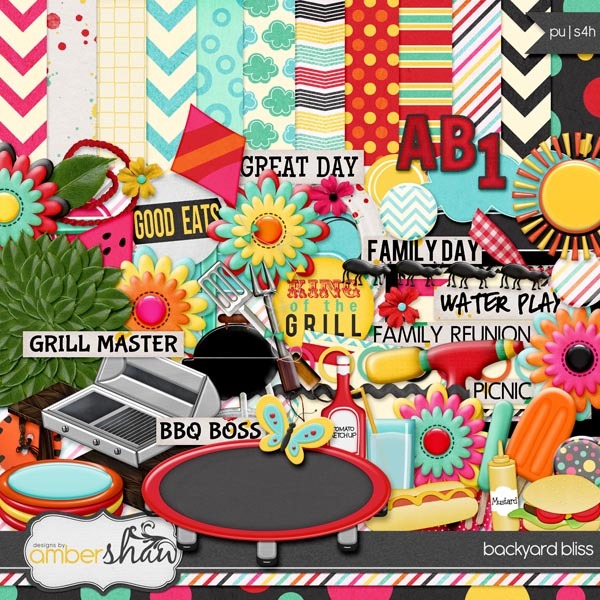 Its on sale at Pickle Barrel till the 22nd so go check it out! 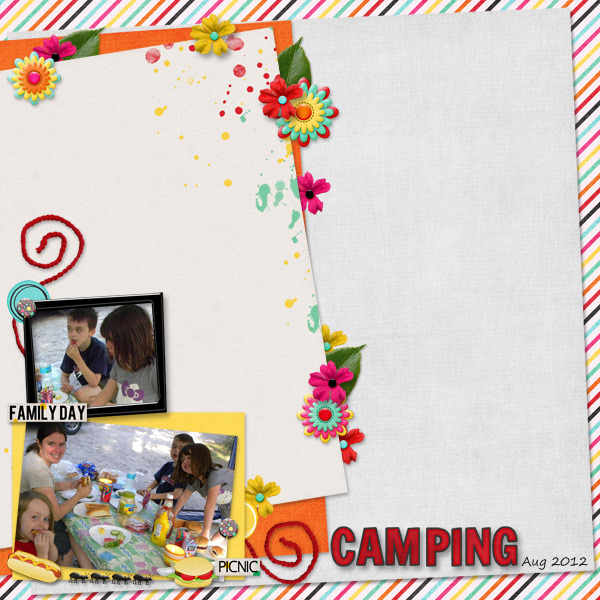 Here's my LO with it! 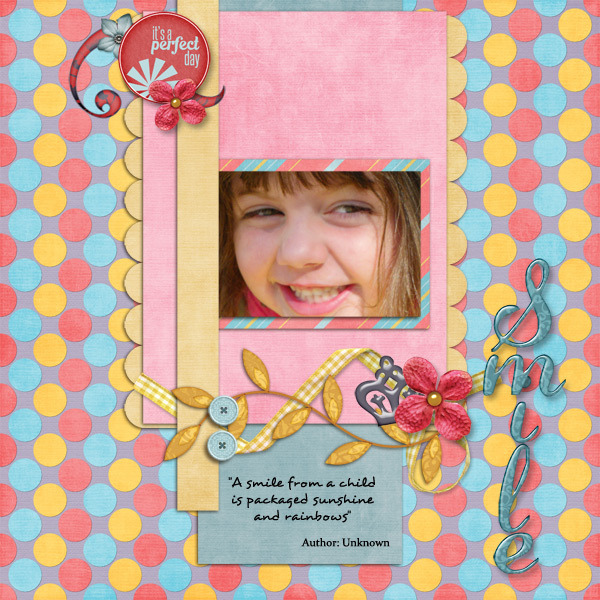 I just love Riley's smile! 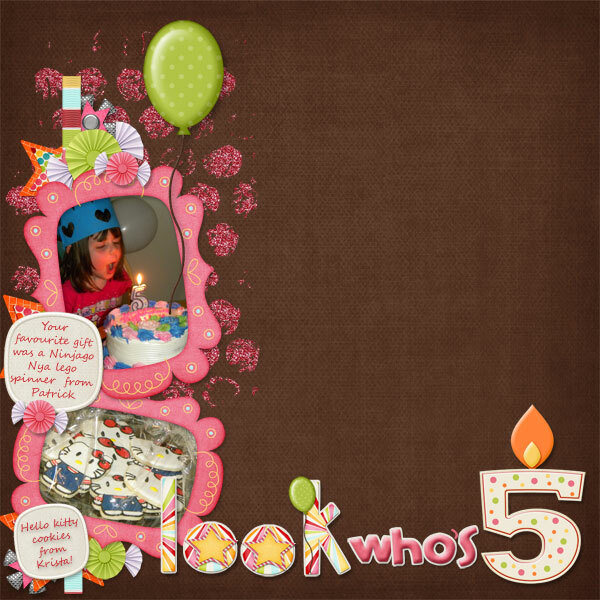 to make this layout I used M & M Designs template pack Lemonpie and ZPink Boudoir Designs kit Perfection both found at Scrapable! 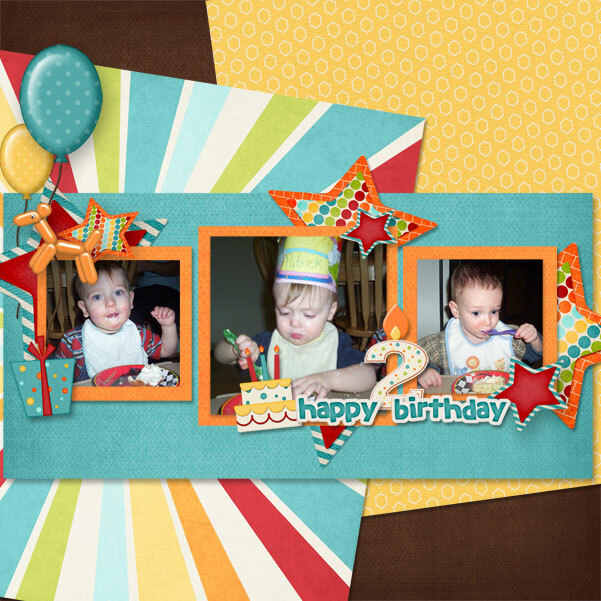 Amber Shaw has just put out two awesome birthday kits, there's a boy and a girl one, and I just had a great time using this kit. 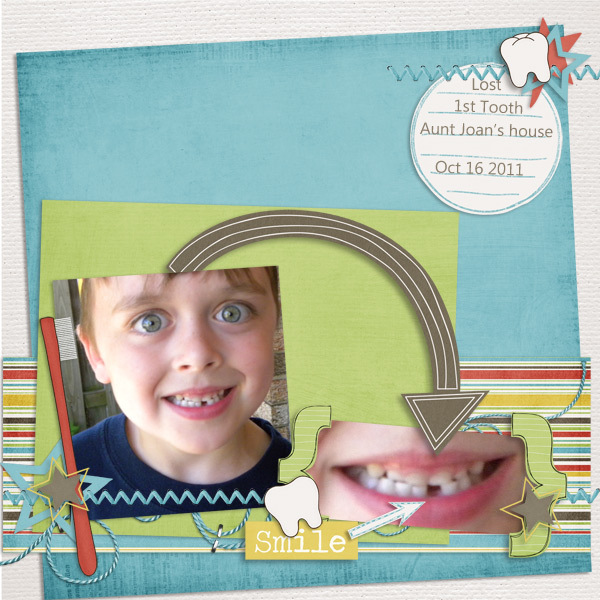 Well it's been almost a year now since Patrick lost his first tooth but I finally did a scrap page about it! 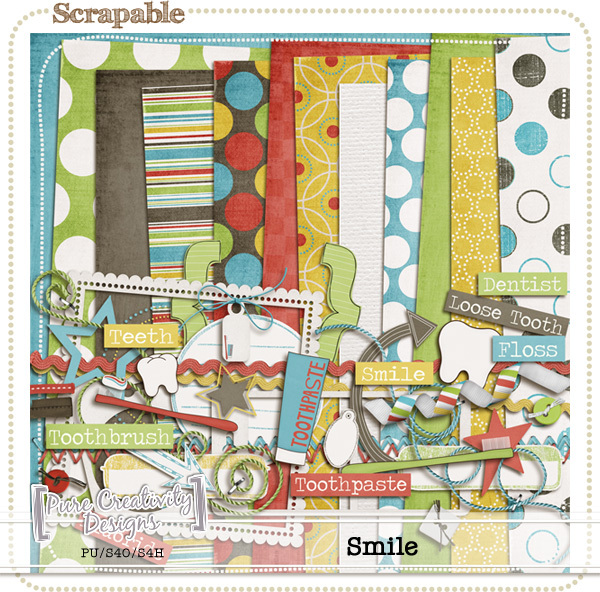 I used Pure Creativity's kit Smile you can find it at her store in Scrapable!